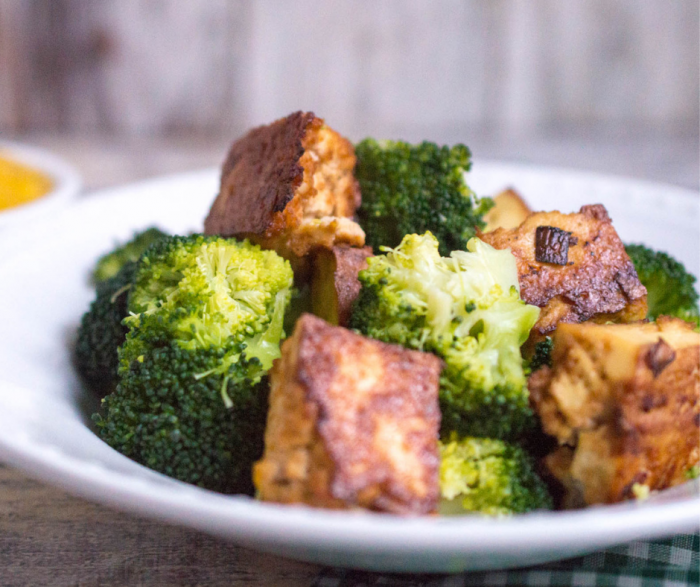 This Roasted Crispy Tofu and Broccoli recipe is going to change the way you look at tofu forever! For years I wasn’t sure if I liked tofu, but when I took a 6-month break from eating meats, it became a regular part of my diet. Even then, I was a little uncertain about how to cook it for the best texture and flavor. 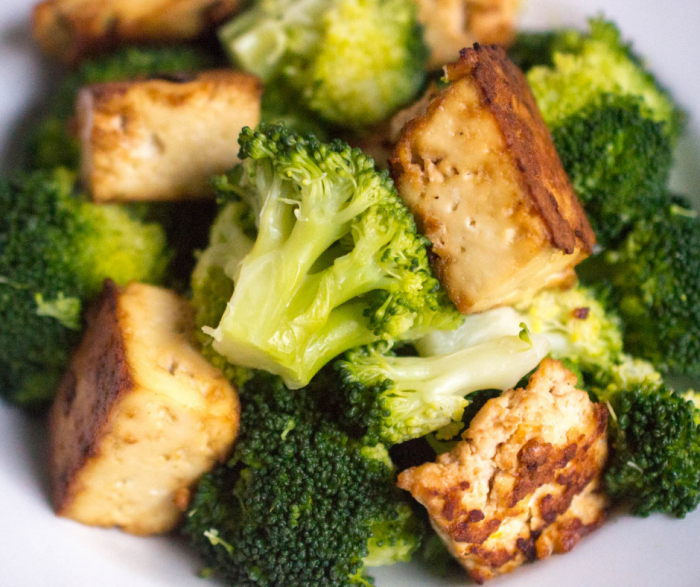 The recipe below will transform your tofu eating experience. 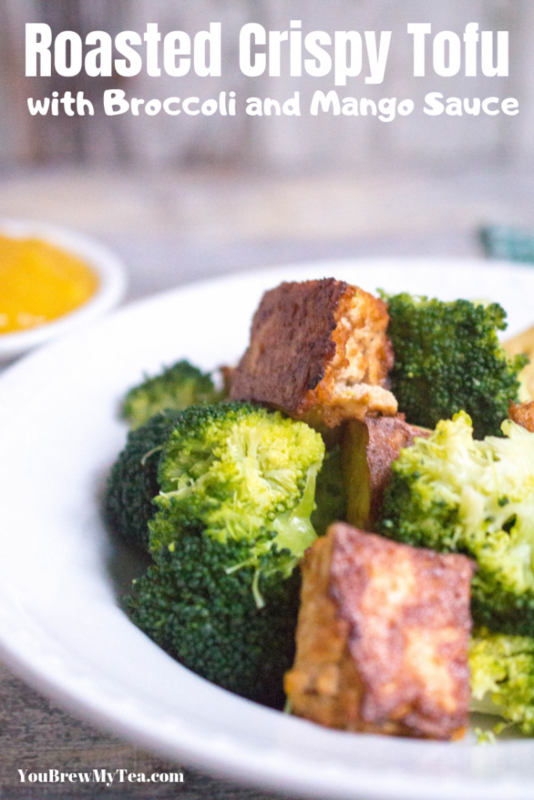 To begin, when making this crispy tofu recipe you need to invest in a tofu press if you do not already have one in your kitchen. Pressed tofu is really the only way to go when trying to get a nice crunchy or crispy texture. The Super Tofu Press has the best overall reviews and is a mid-range price. If you plan to cook a lot of tofu in the future, it is a great investment in your kitchen. Note: This recipe does take a bit longer to prepare than most of our recipes. Make sure to print the recipe below and read over it before you begin. Pressing your tofu is the first step as this will take 20-30 minutes to complete. Once that is done you will mix the tofu with the marinade and let sit until ready to bake. 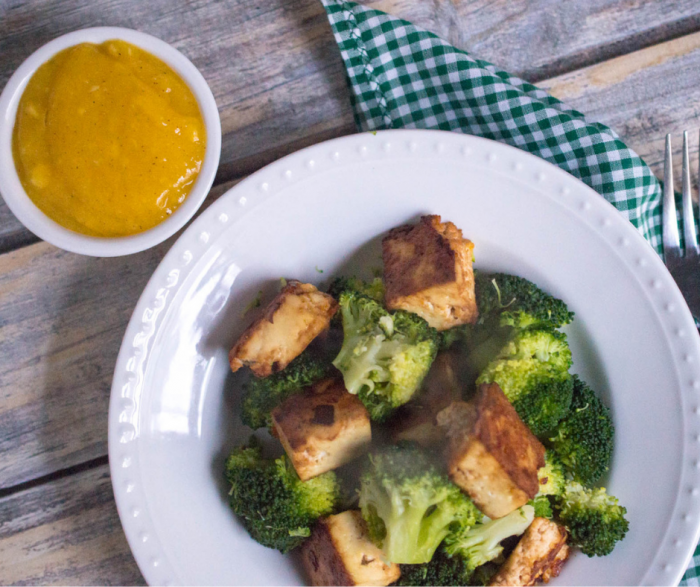 As your tofu is cooking, you’ll prepare you broccoli and the mango sauce if desired. This can also be served with a side of rice or cauliflower rice if preferred. Begin by pressing your tofu. While the tofu is being pressed, you will make the marinade. Mix together the soy sauce, red onion, garlic clove, juice of clementines, and black pepper in a small bowl. Once your tofu has been pressed, add to marinade and set aside for 20 min. While that is sitting, preheat oven to 375°F. 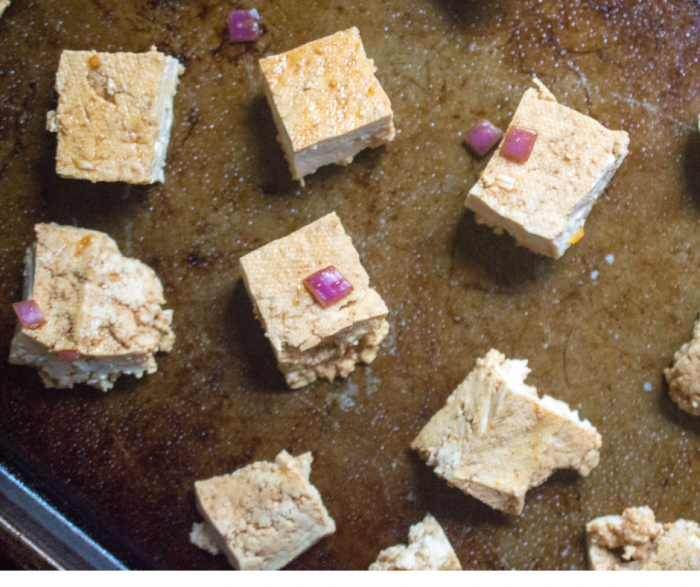 Cut tofu into cubes and toss back into the marinade. While that is baking, steam the broccoli until fork-tender. 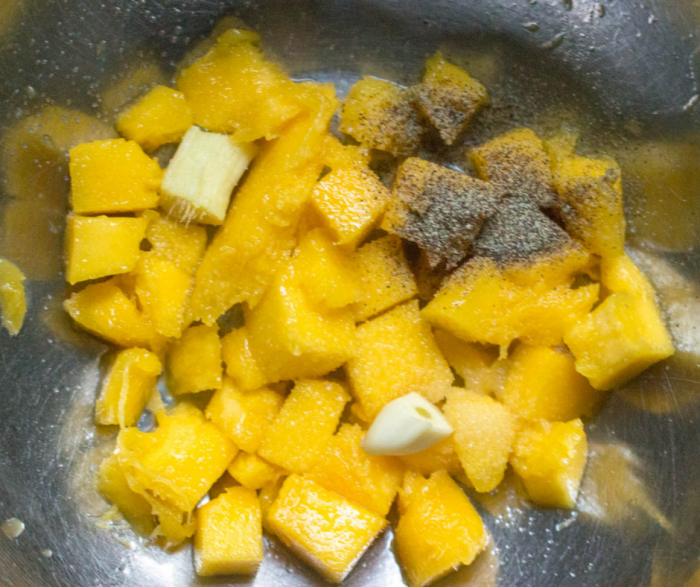 Peel and chop the mango. Place into a blender and add salt and pepper. Serve on top of tofu and broccoli or as a dip on the side. 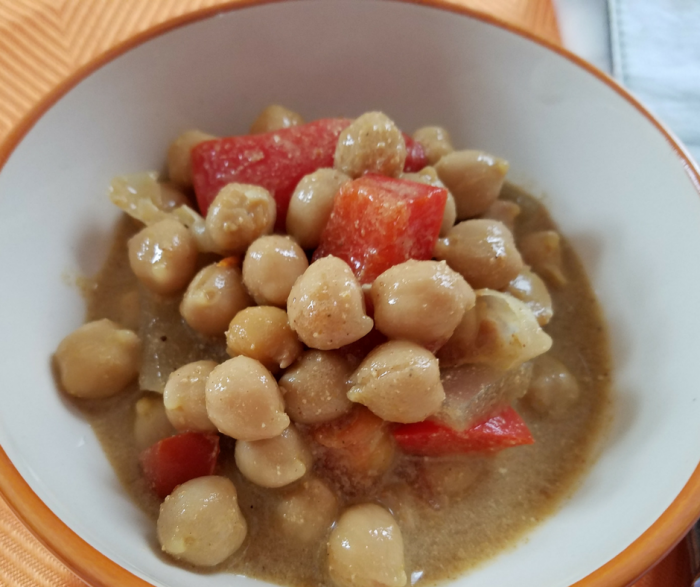 We love all kinds of Indian dishes, and this Chickpea Vegan Curry Recipe is a new low point favorite on Weight Watchers. It is so full of flavor, super easy to make in the Instant Pot in just minutes! If you are looking for a great low point side dish to serve with your favorite curries, or a protein-packed vegan main dish, this is the one! This post contains affiliate links. I may earn a small commission on purchases made from these links. This vegan curry recipe is perfect for a fast Instant Pot recipe. We used canned chickpeas for this recipe. 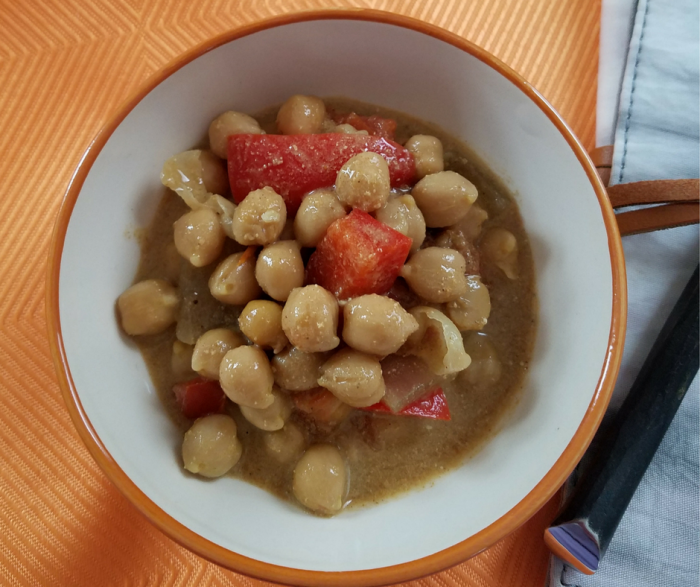 You could easily use dry garbanzo beans (chickpeas) but would need to cook for longer. If you make that choice, adjust time as needed for dry beans. I have the Instant Pot DUO60 and love it for larger recipes, but it also works great for a side like this! Place all ingredients in Instant Pot Liner and mix well to combine. Cook on manual pressure for 5 minutes. Manually pressure release when cooking cycle has completed. We usually serve this chickpea vegan curry recipe with some basmati rice and steamed or roasted curried vegetables. It makes for a perfect fast entree if you are pressed for time. In fact, if you put this in the Instant Pot and then make some steamed veggies and a bit of rice, you’ll have dinner on the table in under half an hour! 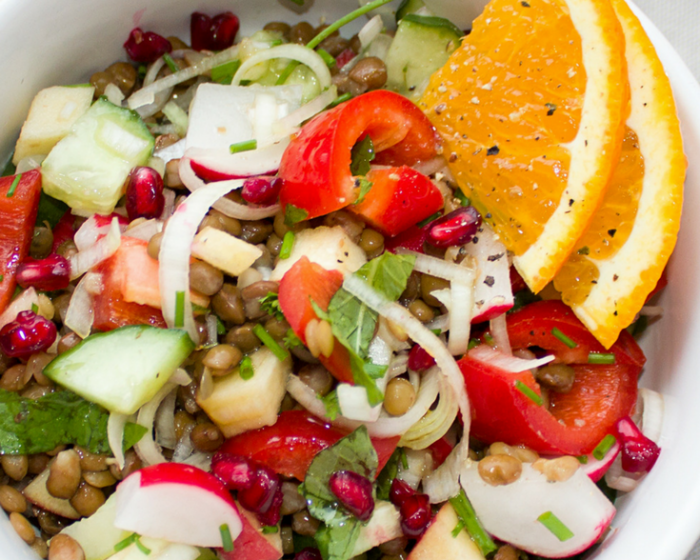 That’s a great vegan meal that is also full of flavor and easy! Going vegan doesn’t mean I have to give up the best foods. 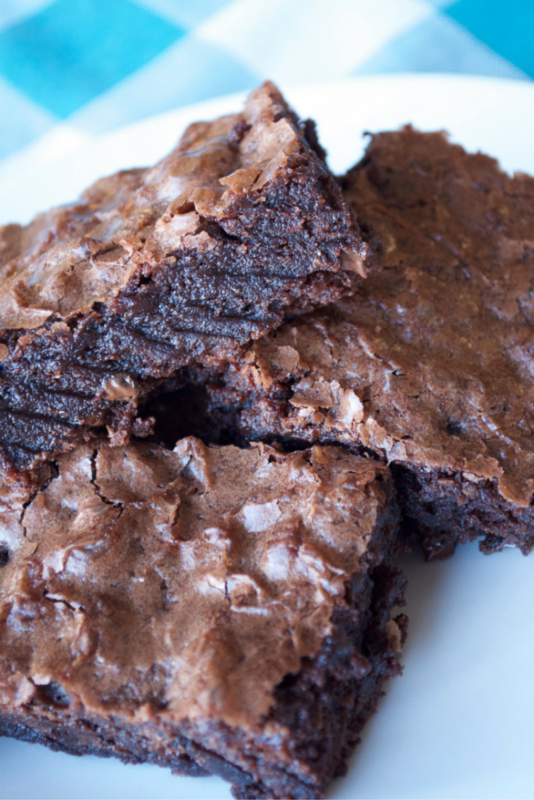 In fact, using this Vegan Black Vegan Brownie recipe is a perfect way to add not just a great vegan chocolate dessert, but also one that is low on Weight Watchers points. This makes it a great idea for an easy treat that is healthier, high in protein, and best of all, delicious. 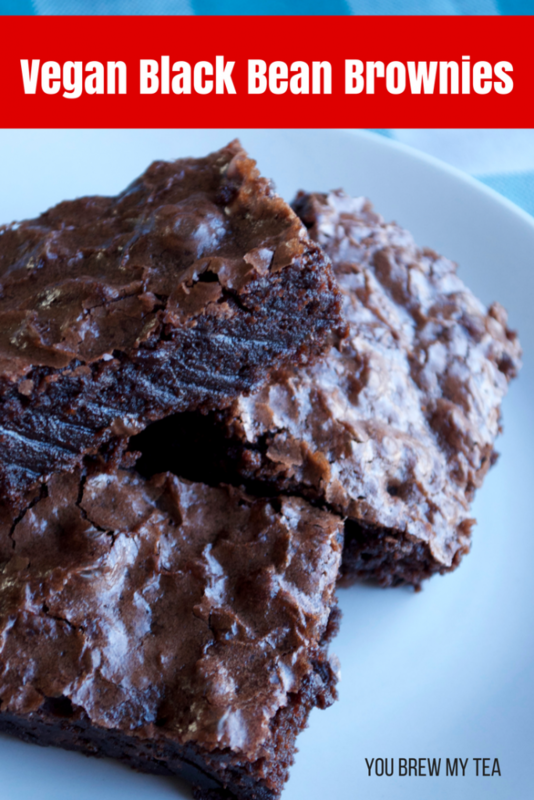 A lot of people don’t care for typical vegan black bean brownies because the flavor isn’t sweet enough. This is not a sugar-free recipe though. I’ve worked with it a few times and finally came to one that I really enjoy. You can use canned black beans, or you can cook from dry beans without seasonings. Whatever you prefer will work just the same. Dump black beans in a large bowl along with applesauce and molasses. Sift in cocoa powder, flour, salt, and baking powder and stir until well combined. Pour into prepared casserole dish and bake at 375 degrees for 35 minutes or until cooked through and a toothpick inserted in the center comes out clean. 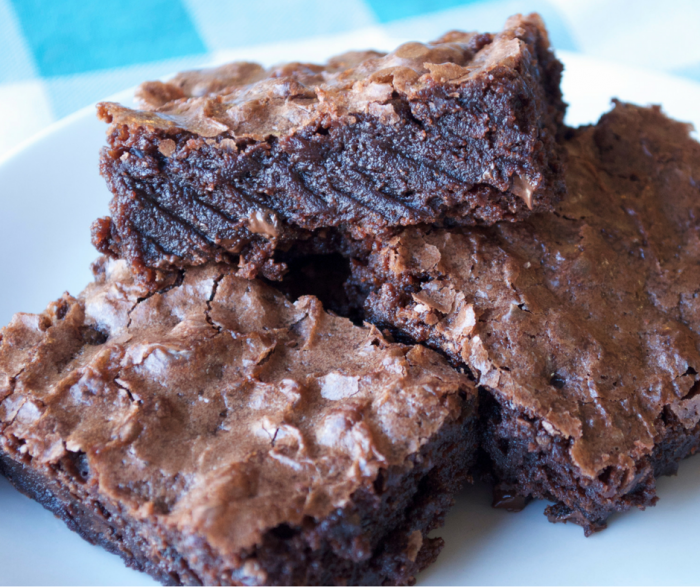 Making these super easy and delicious vegan black bean brownies is a great way to satisfy your cravings. With only 1 SmartPoint per brownie on the new FreeStyle Plan or Flex Plan, you know you can indulge in 1-2 brownies without guilt. They are just what you need for a perfect chocolate indulgence. Cravings won’t get to you when you grab easy options like this! 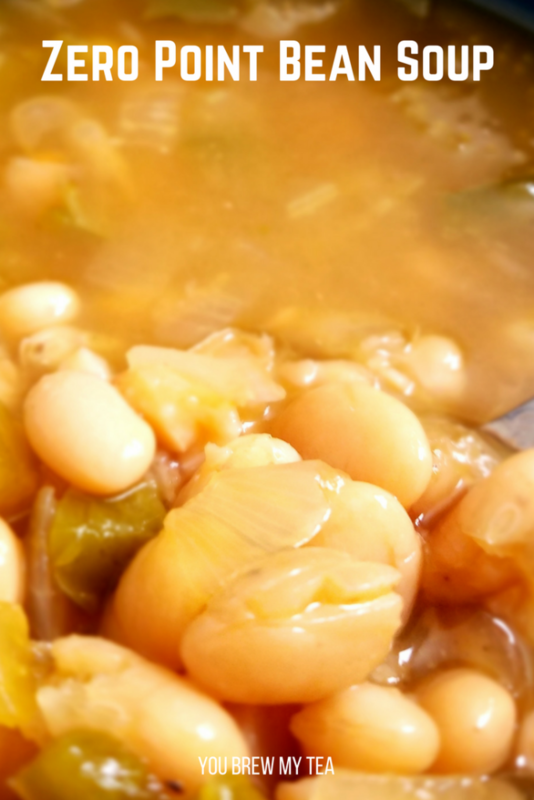 My latest easy meal is this Vegan Zero Point Crockpot Bean Soup. It’s seriously amazingly flavorful, healthy, and a great comfort food recipe. Bonus points for the fact that it is vegan, and is also a zero point meal on the latest update of Weight Watchers. Cooking in the slow cooker makes it even better for busy families! This post contains affiliate links. If you make a purchase through our links, I will earn a small commission. Recently, Weight Watchers made some updates to their program. Included in those updates, is the addition of beans as a zero point food. This is totally revamping the way I create meals. 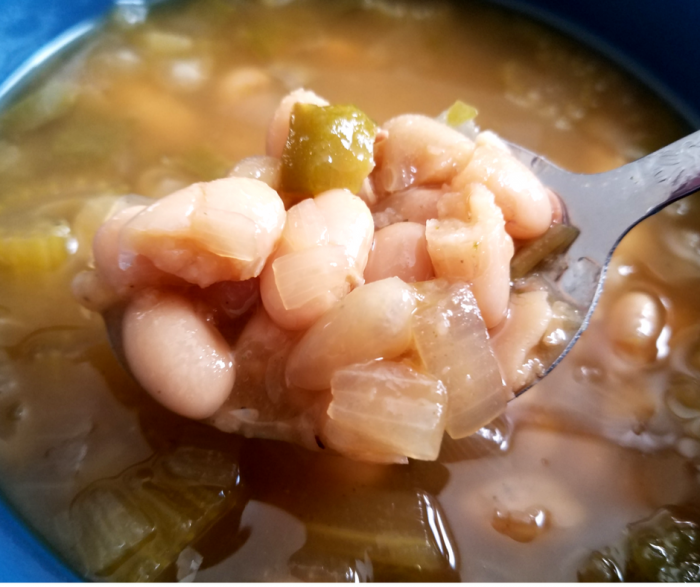 We love beans, and while they aren’t high points regularly, knowing I can use them as a base for meals without being penalized on Weight Watchers is huge. Note: The plan updates are being rolled out during November and December of 2017. It is already happening in some countries already, but not all, so wait for your country and program to update. 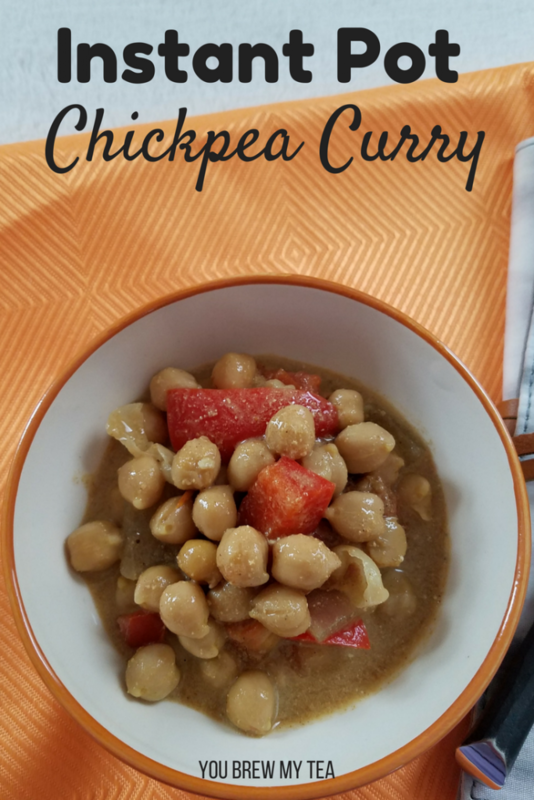 This recipe is made in the Crockpot since I prefer cooking beans from scratch versus using canned. Directions for a stovetop version are at the bottom of the post if you prefer. We use the classic 7-quart Oval Crockpot for this, but you can use any larger slow cooker or stockpot on your stovetop. Note: Scroll to bottom to print a copy of the recipe for your files! Make sure to pin on Pinterest or bookmark for future use! Place all ingredients in the slow cooker and mix well. Set on high heat for 4 hours. Stir well and check for bean tenderness. If not tender, continue cooking for an additional hour. Serve. Place dry beans into a large stockpot with 5 cups water. Heat to boiling, then reduce to simmer and cover. Cook for 1 hour on simmer stirring regularly to prevent sticking. You may need to add more water as it evaporates. Once beans are tender (usually 1 to 1 1/2 hours), add all remaining ingredients and stir well. Cook additional half hour, then serve. Place all ingredients into Instant Pot liner and stir well. Set lid to seal, and choose soup setting. Set timer for 1 hour. Allow to NPR (natural pressure release) for 5 minutes. Finish pressure release, and serve. Once beans are tender (usually 1 to 1½ hours), add all remaining ingredients and stir well. While this is easiest if made in the Crockpot, you can use the above-mentioned directions to make on your stovetop, or in the Instant Pot. I have only made this one time so far, and we absolutely loved it. However, I can easily see adding in things like carrot slices or even potato chunks for an even more filling recipe. Just remember that if you are using this on Weight Watchers, any additional ingredients will need to be adding in the recipe builder to update the potential points. 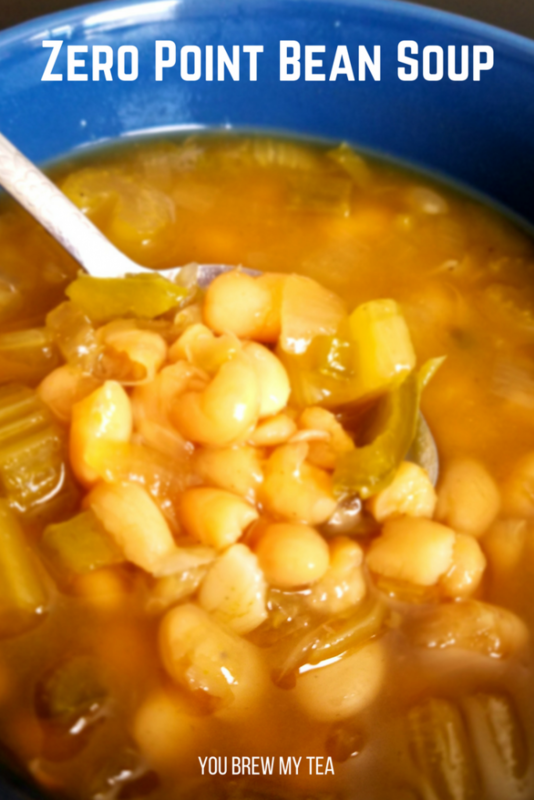 I hope you enjoy this delicious Zero Point Crockpot Bean Soup just as much as our family has! Since I decided to follow a plant-based diet, I have found a few things that simply make my life easier to manage. 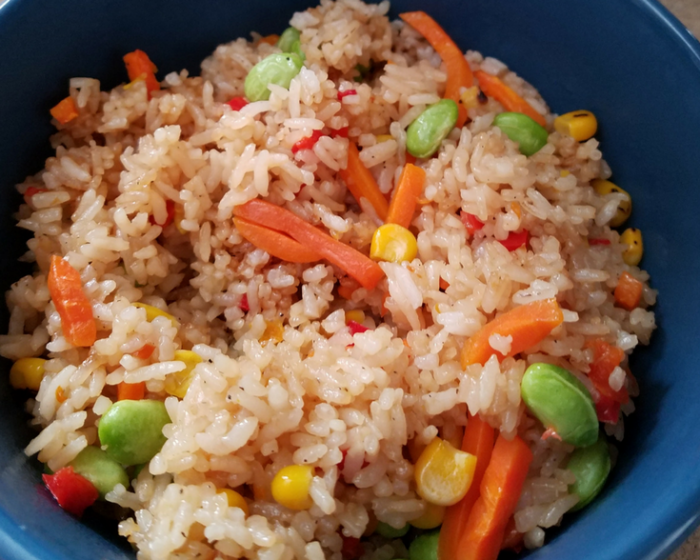 This list of Vegan Pantry Must Haves is perfect for my collaboration with our sponsor Ling Ling Fried Rice. Especially, since they have become one of my favorite pantry items that fit our nutrient needs. As I began the plant-based diet, I realized that I needed to revamp my pantry. One of the biggest problems came when I found so many things in my pantry that I assumed would be vegan, actually weren’t. By reading labels, I realized I needed to replace and update my pantry. Below, I have listed some of the things that I use often, and why they are so important to me. I confess, as a work at home mom, I can be found to be a lazy parent at times when dinnertime rolls around. I may be home most of the time working, but I still forget to plan for dinner. Being plant-based, that can be even harder to manage. So, having some easy vegan frozen food on hand is a must. Below are my favorites. Note: Grab a $2 off Coupon for Ling Ling Chinese Style Vegetable Fried Rice before it expires on January 31, 2018. 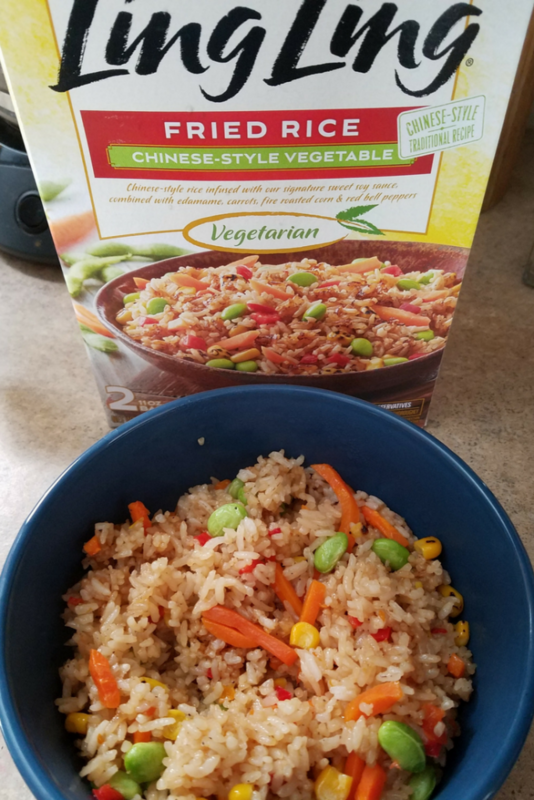 Find out what store in your area carries Ling Ling Fried Rice using their store locator. 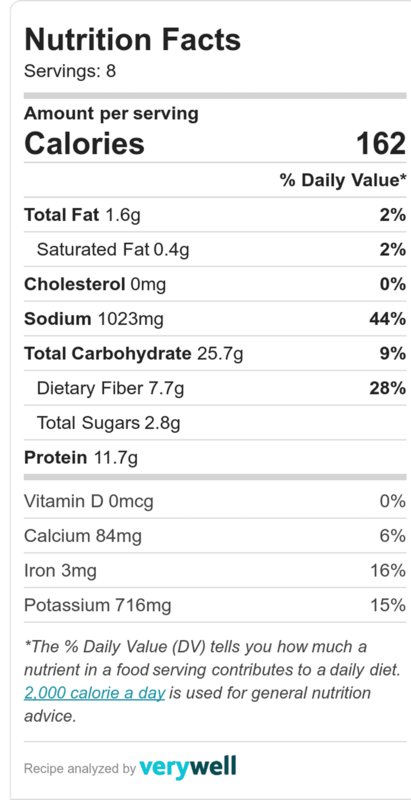 Many worry about a vegan getting enough protein. While that is really not a problem at all, I do recommend keeping some good protein sources on hand that are easy for snacking or adding to meals. Seeds, nuts, and nut butter are perfect for this since they add not just healthy protein, but also healthy fats. The combination helps to keep you satiated for longer. A well-stocked pantry is going to include dry goods as a basis for many meals. We have to have dry beans, rice, and pasta on hand for fast and easy meals. Of course, dry beans take longer to cook, but you can also enjoy canned beans if you are in a hurry. Add a few seasonings and fresh or frozen produce, and you have a hearty meal in minutes. One of the most important things for anyone to use when they are cooking, no matter their dietary needs, are herbs and seasonings. In a vegan pantry, there are a few extra things that I like to have, but mostly the basics are needed. The basis of any healthy diet is fruit and vegetables. We always keep frozen vegetables and fruit on hand, but of course, much prefer fresh produce. This list would include your favorites, and of course, easy to heat or cook items to go along with favorite recipes. 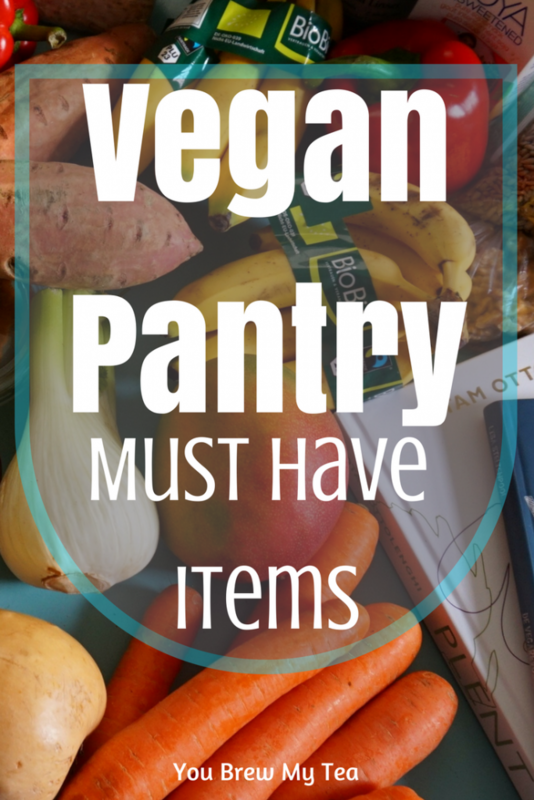 As you can see, it’s easy to fill up your vegan pantry with some great must-have items. This list gives you all of our favorite foods that easily build a great menu plan you’ll be able to use to satisfy your cravings and your entire family at dinner time.